North African Dispatches Morocco: Summer of change? In his latest column, Kateb Salim takes a look at the current upheavals in Morocco, including King Mohammed VI's latest reforms. Although, the monarchy has staved off a mass revolt, Salim argues, the next few months will determine its chances of survival. Several weeks ago, on June the 17th, in a nationwide televised address, King Mohamed VI of Morocco announced unprecedented reforms in his North African kingdom. The new measures followed months of unrest throughout the region and indeed Morocco itself. Extreme disparity in levels of socio-economic well-being have always existed in the country, yet demands for political reforms had been severely and repeatedly repressed. 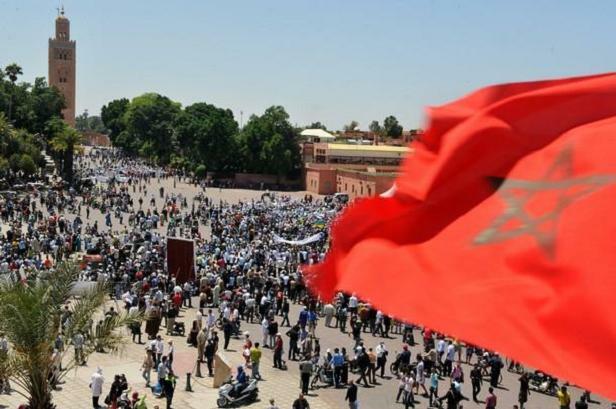 With the eruption of the Arab Spring, however, it seemed as though Morocco’s’ up-and-coming civil society was finally provided with newfound room for unprecedented mobilization. The ’20th of February’ movement, a collection of citizen groups and associations, spearheaded numerous protests over the past four months, calling on the King to finally fight corruption and engage in the process of democratic reforms. More importantly, they seek to adopt, at least as a transitory step, the British constitutional blueprint whereby the King would reign symbolically but not govern. Despite his image abroad as a young and westernised leader, the 47-year-old monarch remains a ruler with unchallenged power over his country’s wealth and institutions. The current constitution provides the monarch with limitless power in appointing members of the judiciary and executive. Under Mohamed VI’s new proposals, the Prime Minister would still be his to select from an elected majority but would now have the power to dissolve parliament. This, alongside the officialisation of Tamazight (the Berber language) as one of the country’s official languages, are the only real noteworthy measures in the package. The referendum to confirm these proposed reforms was held July 1st. Moroccans were offered the option of either confirming or rejecting the new direction outlined by their king. Despite widespread support for the referendum (98% voting in favour of the new constitution), members of the 20th of February movement could not help but express their disappointment to the enquiring international press. Indeed, they took to the streets once more, denouncing the referendum and the proposed reforms as insufficient. They were joined in these protests, for the first time, by the country’s increasingly popular Islamist parties. Their slogans revolved around greater equality, less corruption, an independent judiciary and greater rights for those most marginalised by the country’s foreign investors, claiming that key sectors (justice, health and, of course, education) were in dire need of reform yet had been left untouched by the King’s proposed changes. Though many protestors are staunch supporters of the monarchy, they continue to be unwilling or perhaps unable to criticise any of the King’s policies. Many in the protesting majority believe the King is the only one able to oversee what they view as a corrupt and ill-guided political elite. Unsurprisingly, same elite has worked tirelessly since the start of the Arab spring to brand Morocco as the stable and democratic exception in a troubled region. Whatever the outcome of the current situation, the 20th of February movement has certainly managed to force an important national debate. Their legitimacy drew on the fact that the marchers were the first to publicly articulate what most Moroccans thought privately. In shattering the traditional wall of fear and silence, the 20th of February movement has already achieved a great deal. This evolution is an important one, its consequences are numerous and in the long run, will prove beneficial for all Moroccan citizens. An early assessment of the recent upheavals must cautiously conclude that both protesters and the King have acted responsibly by taking measured stances at critical junctures during what is arguably becoming a summer of real change and reform.